Note: This product has a $95.00 surcharge for Oversized carton. 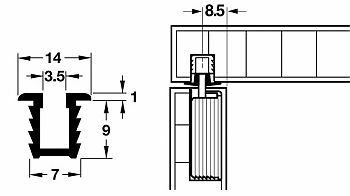 Use on sliding wood doors with adjustable bottom rollers and upper guides (sold separately) for single or by-pass sliding doors. 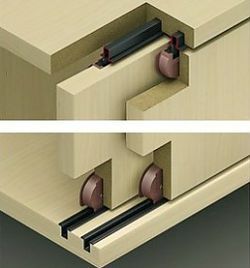 The bottom runner guides (sold separately), run smoothly in the guide track with low friction. NOTE: Also available in 49" length. Note: This product is also known as 404.14.111 on other websites.